Life is Strange is an episodic graphic adventure game that has conquered the hearts of many with its plot and atmosphere. Sometimes when you find an interesting game you want to try everything that reminds you of it. 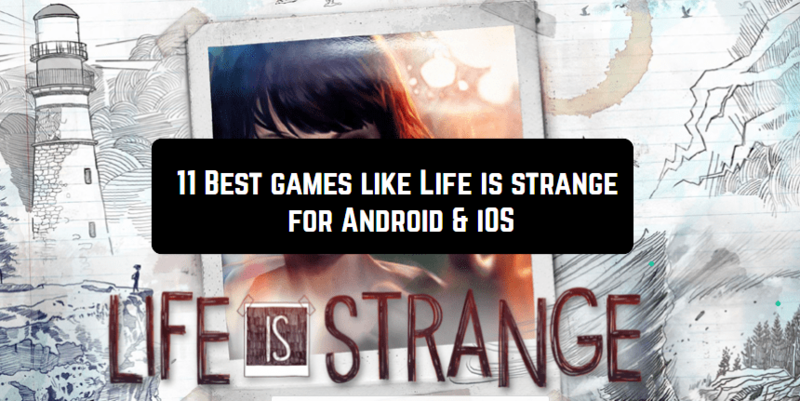 Fortunately, you can find many games similar to “Life is Strange” for Android and iOS. It is a game where each decision influences the story so you need to choose carefully, that’s why you really feel for the characters. We have selected the best games with deep settings and thoughtful choices you can find for your devices. The Walking Dead is a five-part episodic video game based on Robert Kirkman’s universe and TV series that are extremely popular in the world. This game will allow you to deepen into a true horror of the zombie post-apocalyptic world where you need to make right and fast decisions in order to survive. The game has good graphics full of dark places where you can experience the deepest emotions. Watch the long-lasting consequences of all your choices. The first episode is available for free. This is a mobile version of a widely known Nancy Drew video game series where you have to solve the most mysterious situations. You play as Nancy, a girl who is experienced in mysteries and at this time investigates one more supernatural case. Perfect for those who love point-and-click and detective games. The game is free for the first hour of the gameplay. This game was created by the developers of The Walking Dead game series and represent a wonderful example of an episodic story-telling decision-based video game. The game is based on Fables comic book series. The game has an intense setting where you have to find out how it is to be the Big Bad Wolf, a mysterious character in the real world. A developed decision-making process with long-lasting consequences. The first episode is for free. This is a minimalistic story-based game. The story is very touching and keeps you interested until the end. Dr. Rosalene and Dr. Watts give new lives to dying people, an opportunity to start from the beginning and fulfill their dreams. But it’s possible only in their heads. You help a man named Johnny with his last wish — to go to the Moon. A good mix of RPG and an adventure game. The game charges a price. Don’t forget to check: 9 Cool games like Sword Art online. Ok, if you like Life is Strange for difficult choices that tell you what kind of person you are, Beholder is for you. This is a dystopian future where the State controls everything you do, people don’t have any privacy. You play as a State-appointed manager of the apartment building. His job is to watch the dwellers of the building and report their offenses to the state. At the same time, he has a family to provide. The game makes you fill intense from the beginning until the end. The small price is charged. Another Telltale game (they also developed The Walking Dead and The Wolf Among Us). This is a five-episode story-based adventure game. You can play as two characters, Rhys or Fiona, depending on locations and missions. 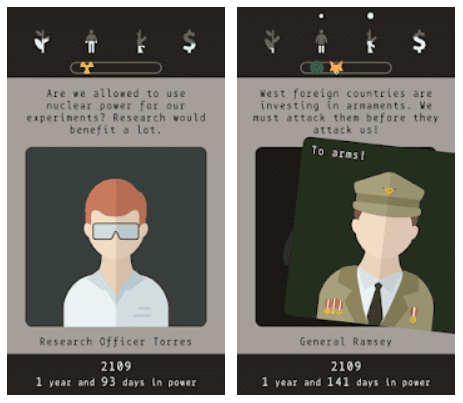 This is another decision-making game where each your choice affects the story. The first episode is free to play. One more thoughtful game for those who love video games for the story. 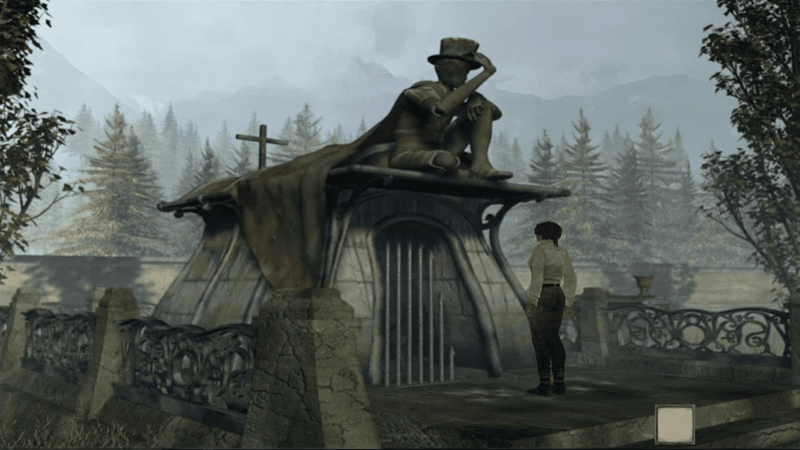 You play as Kate Walker, A young lawyer from New-York who is to find out the secret of Syberia. The game takes your breath from the very beginning. The game is quite old but the graphics is astonishing. That’s not a game, more like an interactive story of 300 000 words where everything depends on your choice. You choose not only the twists of plot to reach one or another ending but create a unique personality (and appearance) of a robot you build. No pictures — the game is about the text. A wonderful adventure game that will keep you interested from the beginning till the end. The setting takes place in Paris, and a journalist named Nico Collard is dragged into a complicated conspiracy story after one interview. The game perfectly combines detective and adventure parts along with cool cartoon graphics. The small price is charged for this game. It is an interactive adventure game where you play for two brothers. Naia and Naiee who desperately try to cure their father. The story is extremely moving even though the game has nothing with point-and-click games. You can play as any of brothers and control them simultaneously. The game is single-play, though. The game contains complex puzzle mini-games, so you will not feel bored. The game will cost you 2.99$. 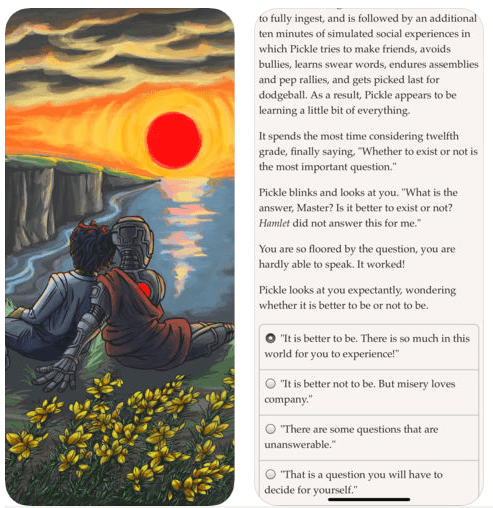 A great game where you need to make difficult decisions and watch the consequences of each your deed. It is a little bit different from the “Life is Strange” atmospheric story but will make you think and feel for the nation you have to save in a post-apocalyptic world. You need to make decisions correctly and quickly and remember that no choice made in time is also a choice. A complex and developed story. The game is available for free on Google Play. With these games you will deep into wonderful moving stories and feel for the characters just like in Life is Strange. Play and enjoy good games!